Welcome to Wattle Grove Dental Centre! Our knowledgeable dental team, led by Dentist Dr Kaushal, delivers the highest standard of professional service from the moment you walk in our door. 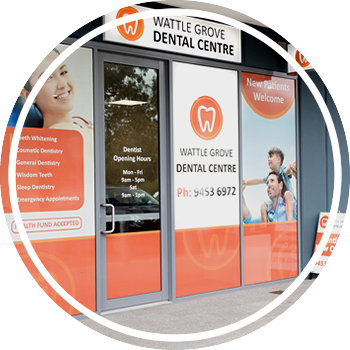 With a convenient location in the Wattle Grove Shopping Centre, we are easily accessible so that your dental care can fit smoothly into your busy schedule. Why Choose Wattle Grove Dental Centre? In our contemporary, state-of-the-art facility, we are ready to help you achieve your oral health goals. We believe that visiting the dentist should be simple and stress-free for you. The latest technology is used in your care, such as same-day crowns and OPG scans that allow us to see details that X-ray machines might miss. With a HICAPS machine on-site, we can process your health fund coverage immediately so that there are no wait times. We can’t wait to meet your family. Call 08 9453 6972 or book online now!